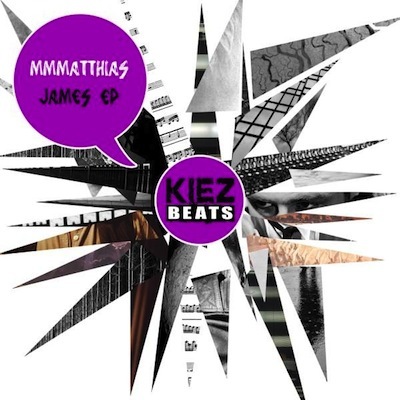 German electro-house mastermind MMMatthias has just released the James EP courtesy of Kiez Beats and this release is a good occasion to take a look back at his career. This German artist started his career in the hip hop scene as a producer of great international acts such as Samy Deluxe and Afrob but he subsequently totally switched into the electro scene in the beginning of 2008. As a DJ he has played in many internationally renowned clubs like Flèche d’Or in Paris, Scala Club in Berlin or Case-a-Chocs in Neuchâtel, sharing stages with such artists as Steed Lord, Streetlife DJ’s and Ben Mono. Now only producing electro tracks and remixes, his remixes of MGMT, Röysksopp or Moderat have taken the electro scene by storm and have climbed many times the most popular list of the Hype Machine. His remix of “O.N.E” for Yeasayer was recently playlisted on BBC Radio 1’s Kissy Sell Out Show. For more info and updates, find MMMatthias on MySpace.